Austria (/ˈɔːstriə/ or /ˈɒstriə/; German: Österreich [ˈøːstɐˌʁaɪç]), officially the Republic of Austria (German: About this sound Republik Österreich (help·info)), is a federal republic and a landlocked country of roughly 8.47 million people in Central Europe. It is bordered by the Czech Republic and Germany to the north, Hungary and Slovakia to the east, Slovenia and Italy to the south, and Switzerland and Liechtenstein to the west. 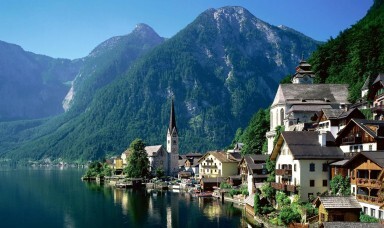 The territory of Austria covers 83,855 square kilometres (32,377 sq mi) and has a temperate and alpine climate. Austria’s terrain is highly mountainous due to the presence of the Alps; only 32% of the country is below 500 metres (1,640 ft), and its highest point is 3,798 metres (12,461 ft). The majority of the population speak local Bavarian dialects of German as their native language, and German in its standard form is the country’s official language. Other local official languages are Hungarian, Burgenland Croatian, and Slovene. 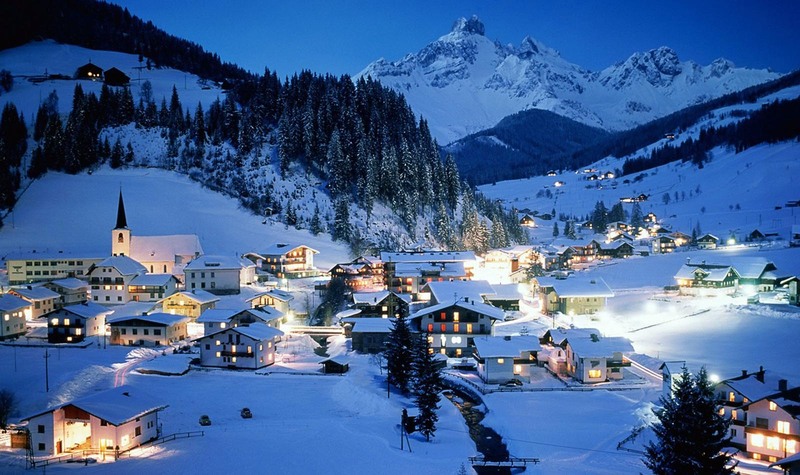 It can be divided into five areas, the biggest being the Eastern Alps, which constitute 62% of nation’s total area. 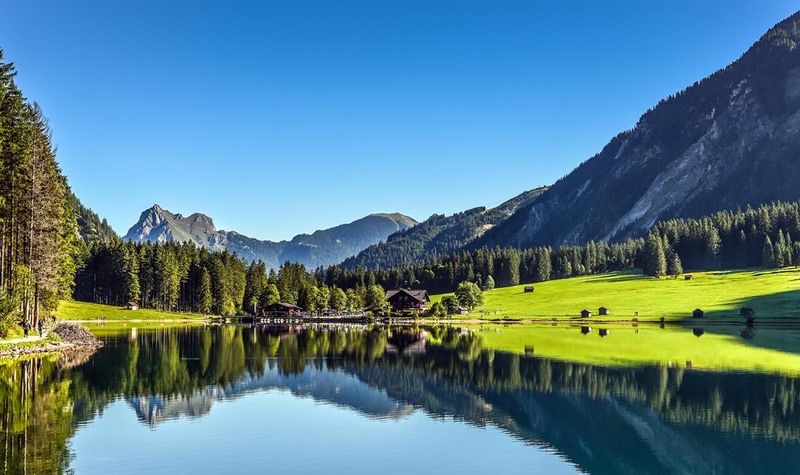 The Austrian foothills at the base of the Alps and the Carpathians account for around 12% and the foothills in the east and areas surrounding the periphery of the Pannoni low country amount to about 12% of the total landmass. The second greater mountain area (much lower than the Alps) is situated in the north. Known as the Austrian granite plateau, it is located in the central area of the Bohemian Mass and accounts for 10% of Austria. The Austrian portion of the Vienna basin comprises the remaining 4%. 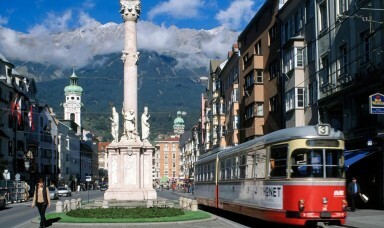 Austria’s population estimate in April 2011 was 8,414,638. 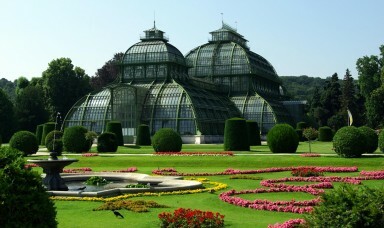 The population of the capital, Vienna, exceeds 1.7 million (2.2 million, including the suburbs), representing about a quarter of the country’s population. It is known for its cultural offerings and high standard of living. Vienna is by far the country’s largest city. 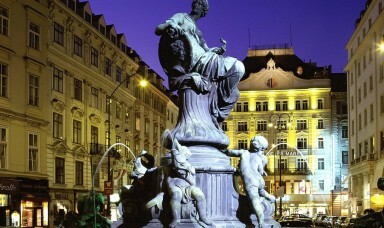 Graz is second in size, with 250,099 inhabitants, followed by Linz (188,968), Salzburg (150,000), and Innsbruck (117,346). All other cities have fewer than 100,000 inhabitants. According to Eurostat, in 2010 there were 1.27 million foreign-born residents in the Austria, corresponding to 15.2% of the total population. Of these, 764,000 (9.1%) were born outside the EU and 512,000 (6.1%) were born in another EU Member State. Statistik Austria estimated in 2011 that 81% or 6.75 million residents had no migration background and more than 19% or 1.6 million inhabitants had at least one or more parents of migration background. There are more than 415,000 descendants of foreign-born immigrants residing in Austria, the great majority of whom have been naturalized. 350,000–400,000 Turks (including a minority of Turkish Kurds) compose 4% of the total population, and make up today the biggest single ethnic minority in Austria. 13,000 Turks were naturalized in 2003 and an unknown number have arrived in Austria at the same time. While 2,000 Turks left Austria in the same year, 10,000 immigrated to the country, confirming a strong trend of growth. Together, Serbs, Croats, Bosniaks and Slovenes make up about 7% of Austria’s total population. The total fertility rate (TFR) in 2013 was estimated at 1.42 children born per woman, which is lower than the replacement rate of 2.1. In 2012, 41.5% of births were to unmarried women. The life expectancy in 2013 was estimated at 80.04 years (77.13 years male, 83.1 years female). Austria is the 12th richest country in the world in terms of GDP (Gross domestic product) per capita, has a well-developed social market economy, and a high standard of living. Until the 1980s, many of Austria’s largest industry firms were nationalised; in recent years, however, privatisation has reduced state holdings to a level comparable to other European economies. Labour movements are particularly strong in Austria and have large influence on labour politics. Next to a highly developed industry, international tourism is the most important part of the national economy. Germany has historically been the main trading partner of Austria, making it vulnerable to rapid changes in the German economy. Since Austria became a member state of the European Union it has gained closer ties to other EU economies, reducing its economic dependence on Germany. 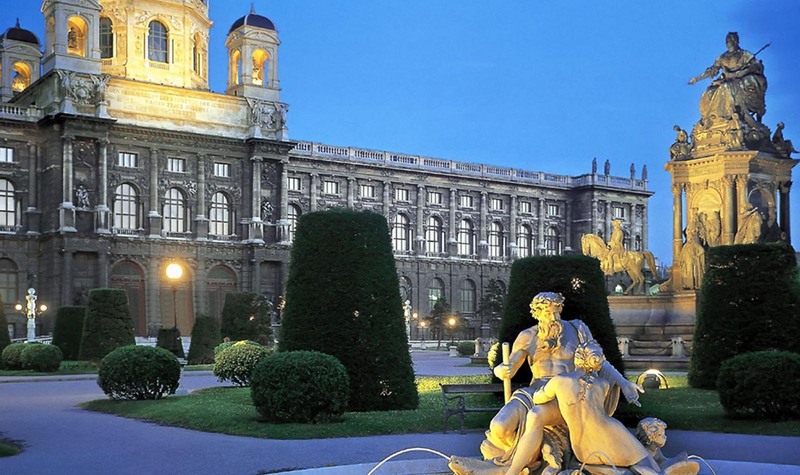 In addition, membership in the EU has drawn an influx of foreign investors attracted by Austria’s access to the single European market and proximity to the aspiring economies of the European Union. Growth in GDP accelerated in recent years and reached 3.3% in 2006. Since the fall of communism, Austrian companies have been quite active players and consolidators in Eastern Europe. Between 1995 and 2010, 4,868 mergers and acquisitions with a total known value of 163 bil. 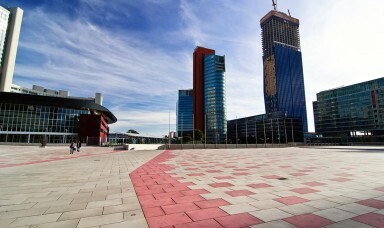 EUR with the involvement of Austrian firms have been announced. 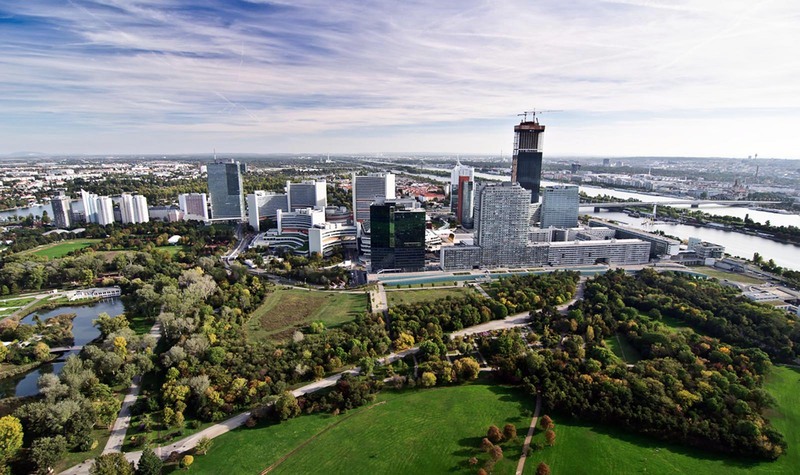 The largest transactions with involvement of Austrian companies have been: the acquisition of Bank Austria by Bayerische Hypo- und Vereinsbank for 7.8 bil. EUR in 2000, the acquisition of Porsche Holding Salzburg by Volkswagen Group for 3.6 bil. EUR in 2009, and the acquisition of Banca Comercială Română by Erste Group for 3.7 bil. EUR in 2005. Since Roman Catholicism is the predominant Christian denomination in Austria, most of the public holidays are Catholic ones. At the same time, and in contrast to Switzerland or Germany, Good Friday is a public holiday not just for Catholics, but for all citizens belonging to any denomination that observes Good Friday. 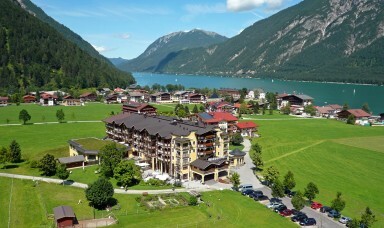 Although most holidays in Austria are defined in the federal labour law (Arbeitsruhegesetz), some are due to other sources of law such as social partnership collective contracts (see: Austria’s “social partnership”). Due to the special emphasis that the Austrian labour law puts on the collective contract, in Austria such contracts are not limited to members of the union that negotiated the contract. This means that the collective contract is actually more like a law than a union agreement. In addition to national holidays, some holidays are defined on a state-by-state basis. Abbreviations for the Austria states are described in States of Austria. Easter Sunday and Whitsun are not listed below, since these will always by definition fall on a Sunday and are therefore already regulated by Sunday laws.